A program whose name was born out of 1 Peter 1:3, referring to Jesus Christ who caused us to be born again to a “living hope” through his resurrection. 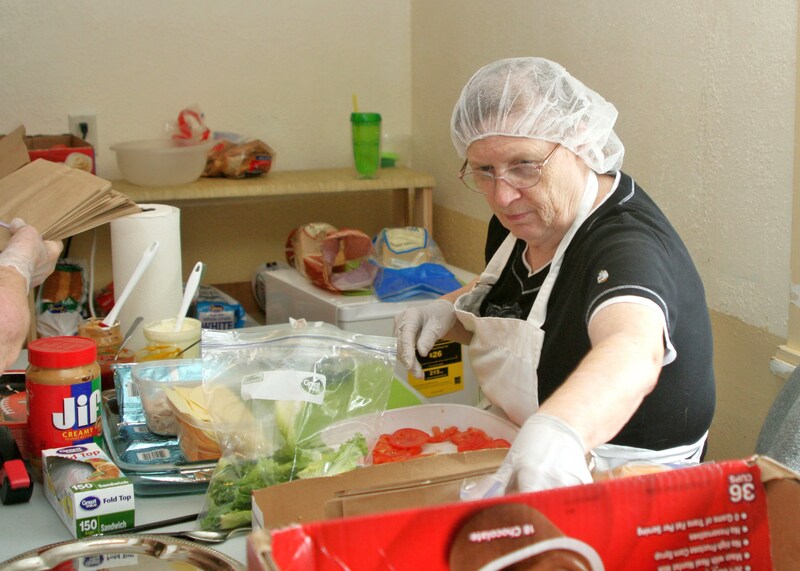 Living Hope offered it’s first lunches in the community of Drain in December of 2012. The food pantry started later. Founded by Sharon Hove and her mother Lenore Davidson, Living Hope started one night with a dream. 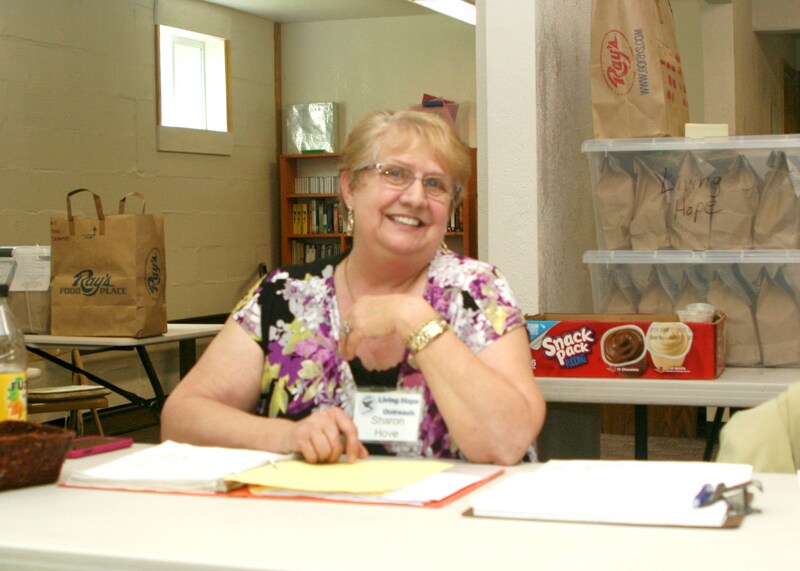 “I had a desire in my heart to do something for people who were in need,” Sharon said. She tried a few things, but nothing worked until she implored God, “Lead me or I’m doing nothing more.” Then within a few days the entire plan came to her and she presented it to the Board on November 5 and started the program one month later. But that fall night she dreamt she sat up to close the blinds, but they wouldn’t close. Two teenage girls were looking in the window. She went outside to see what was going on and there were a lot of children and a man at the door wearing torn tattered clothes. She couldn’t see the details of his face, but he smiled, so she asked him what she could do. “Feed my children,” he replied, and she invited them in. 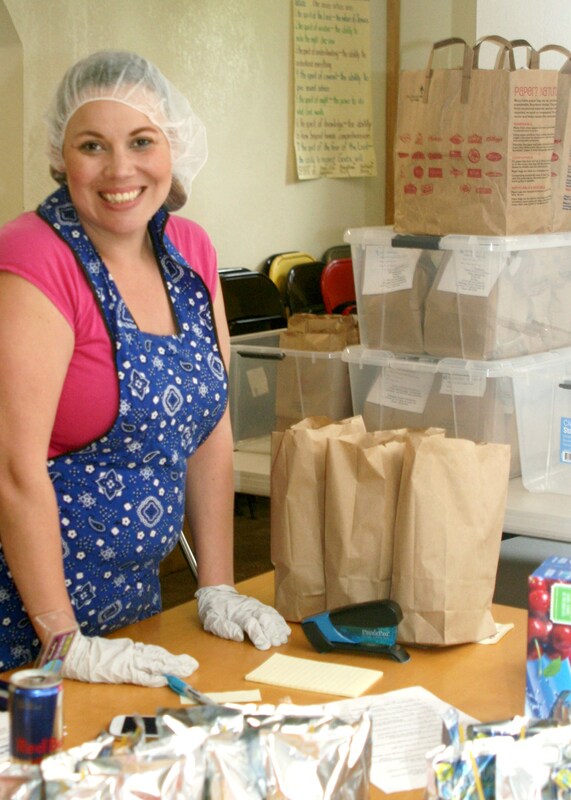 When she woke that morning she knew she was to provide meals for those in need. Starting on a wing and a prayer, she didn’t know about UCan at the time. UCan where Living Hopes currently buys their food, didn’t come into the picture until October 2014. Initially the whole program was supported by donations. To view our schedule for lunches and the food pantry visit our Home page.